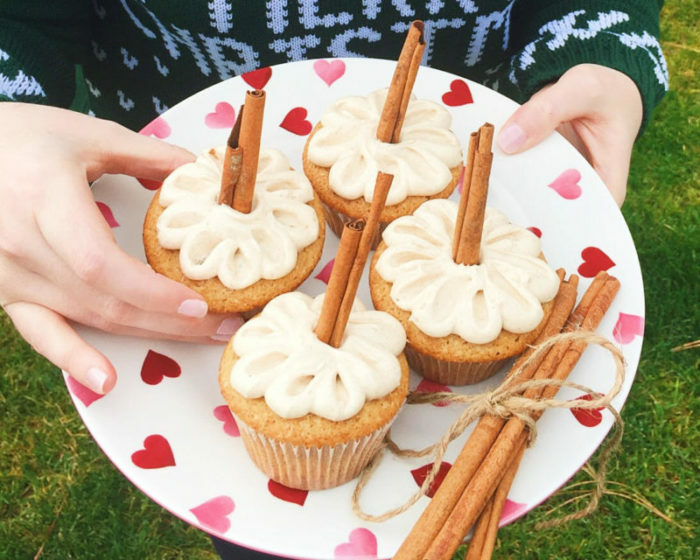 These delicious, spiced Spiked Eggnog Cupcakes taste like Christmas in cake form. A healthy dose of rum gives them a grown-up touch. I haven’t seen snow in quite a while. We didn’t get much of it in Portland. I only moved a few hours outside of PDX, but we get a lot more snow here. And I’m actually very excited about it. I must admit, I haven’t been very productive this week. I’ve been completely in the Christmas-zone. I cut down my own tree this year for the first time ever. Bundled up and excited, with a tiny rusty saw in tow, I quickly found that cutting down your own tree is harder than expected. We struggled, broke a sweat, and muddied our pants and jacket, all while barely putting a dent in the tree trunk. The sweet guys who worked at the tree farm tried to help, but also struggled, stating that the tree was too wet and that we possibly picked the worst saw they owned. But we got it home. With a fight. The past few days I’ve been decorating, sipping either Prosecco or tea (depending on time of day), working (note: not as much as I should be), watching Gilmore Girls, baking, and buying Christmas presents (yay Cyber Monday!). So I am officially in the spirit, ya’ll. Are you guys in the spirit, or not just yet? 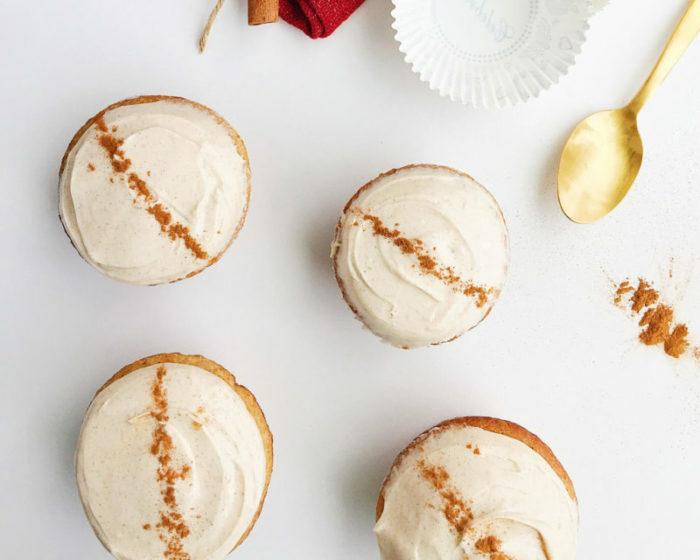 If you’re not, these Spiked Eggnog Cupcakes may be just the thing to get you there. 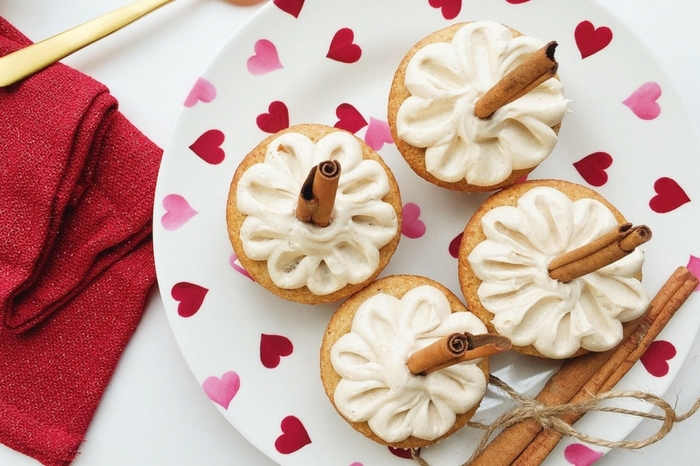 These Spiked Eggnog Cupcakes are crazy delicious. They’re fluffy, boozy, and perfectly spicy. 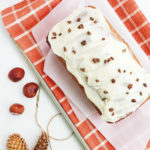 A spiced and eggnog-infused cream cheese frosting takes them over the top. The eggnog flavor really comes through in this recipe. Make sure to use a quality eggnog (or make your own!). 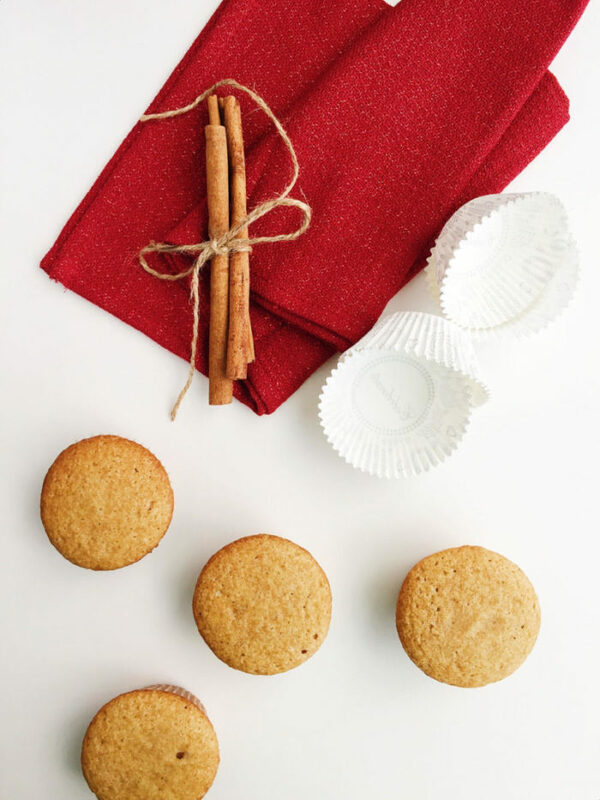 These Spiked Eggnog Cupcakes just smell, taste, and look like Christmas. 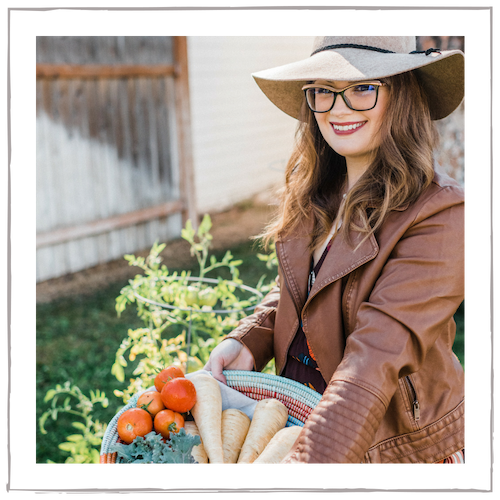 I collaborated with Boohoo for this post and their holiday cookbook. I received free product for photography purposes. 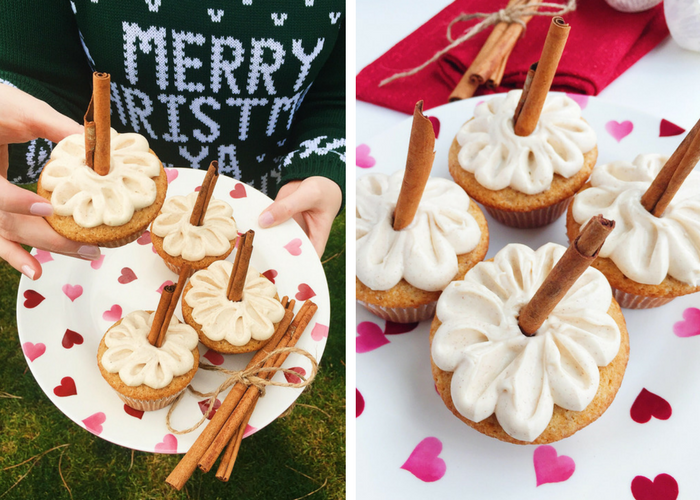 I hope you enjoy these Spiked Eggnog Cupcakes! Preheat the oven to 350 degrees and line a 12-cup muffin pan with cupcake liners. Mix all of the dry ingredients (flour, cinnamon, nutmeg, baking powder, baking soda, and salt) in a large bowl. 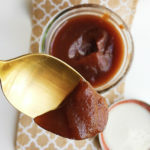 With a paddle attachment, beat the butter and sugar until soft and creamy, about 3 minutes. Add in the eggs until just combined. Add in the vanilla. Alternate the dry ingredients with the eggnog in 3 additions (dry/eggnog/dry/eggnog/dry). Mix until just combined, and do not over-mix. Divide the cake batter evenly into the 12 muffin cups. Bake until cupcakes are cooked through, a tester comes out clean, and the tops spring back when touched, about 20-22 minutes. 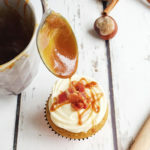 Using a toothpick or knife, poke several holes in the tops of the cupcakes. 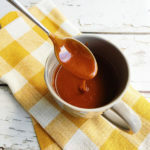 Pour some rum into a small bowl. 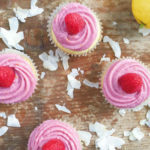 Using a pastry brush, dip the brush into the rum and brush each cupcake generously with rum. Be sure to evenly brush the cupcake. 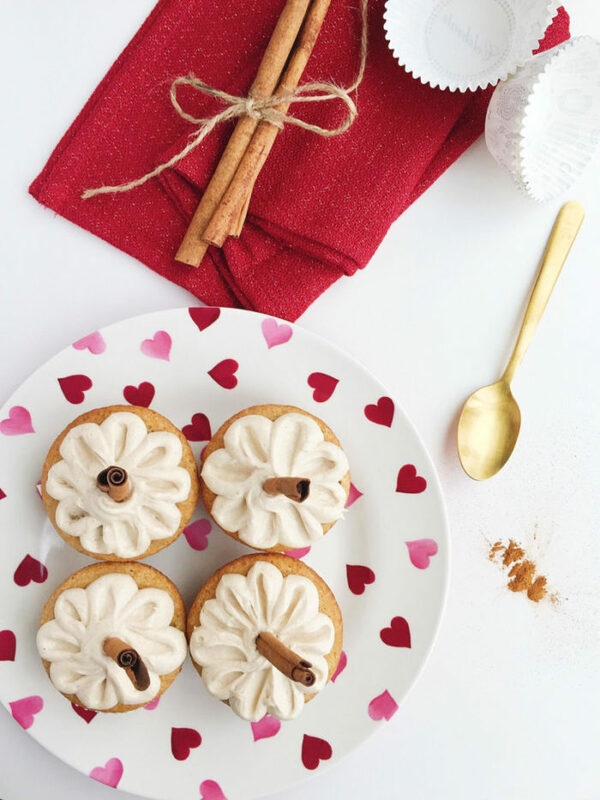 Frost the cupcakes and garnish with a cinnamon stick or with ground cinnamon. Enjoy! 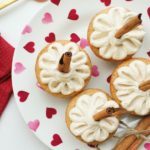 I loved the accent of the cinnamon stick in these! How festive! YUM these look so good and I love how you did the frosting! OMG these look soooo yummy! 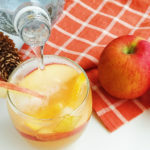 I can’t wait to try something like this over the holidays! Thank you! 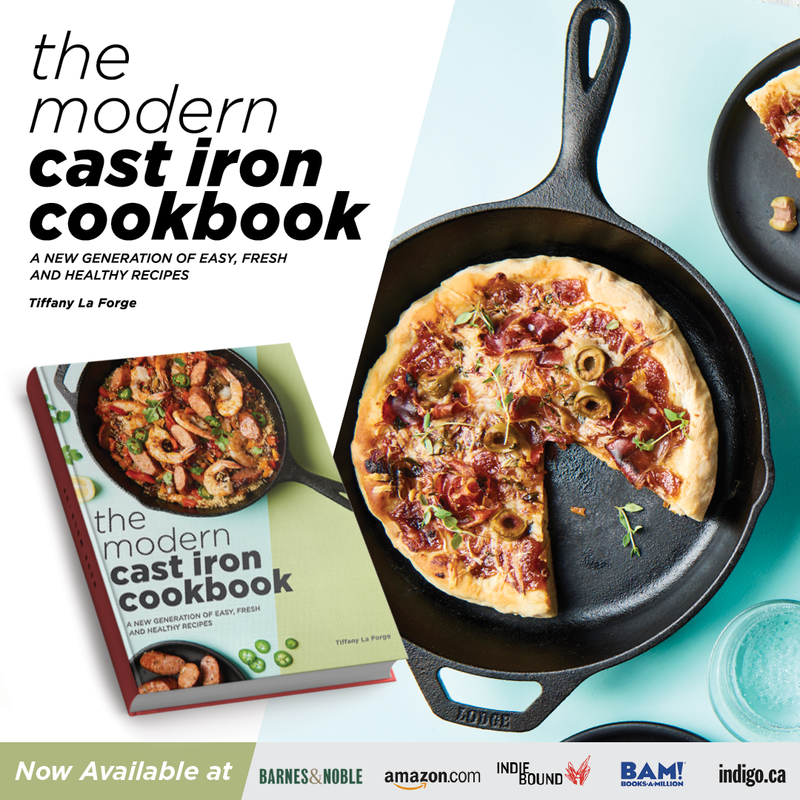 It’s perfect for the holidays! 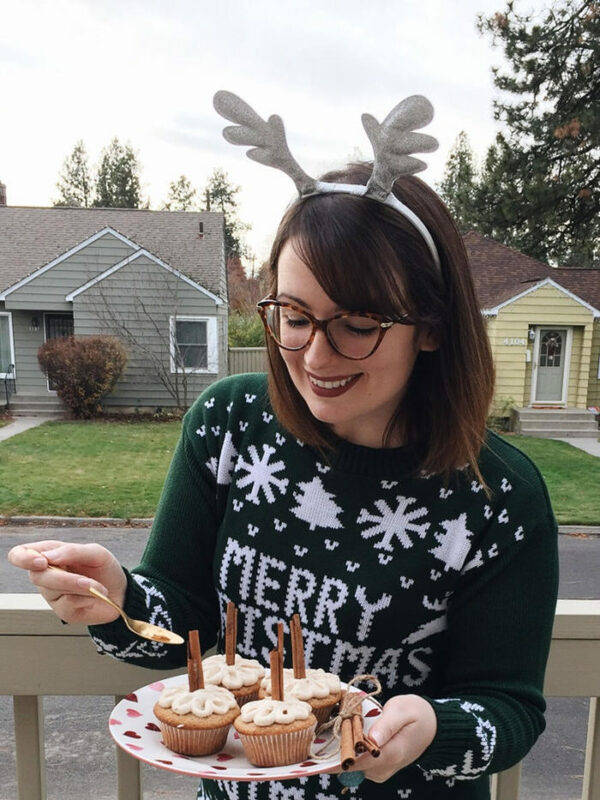 Christmas is my favorite and this cupcake might be my new favourite! Going to add this one to the rotation. Thanks, Colleen! Let me know how you like it! lol yes, anything spiked with rum can’t be all that bad, right?! 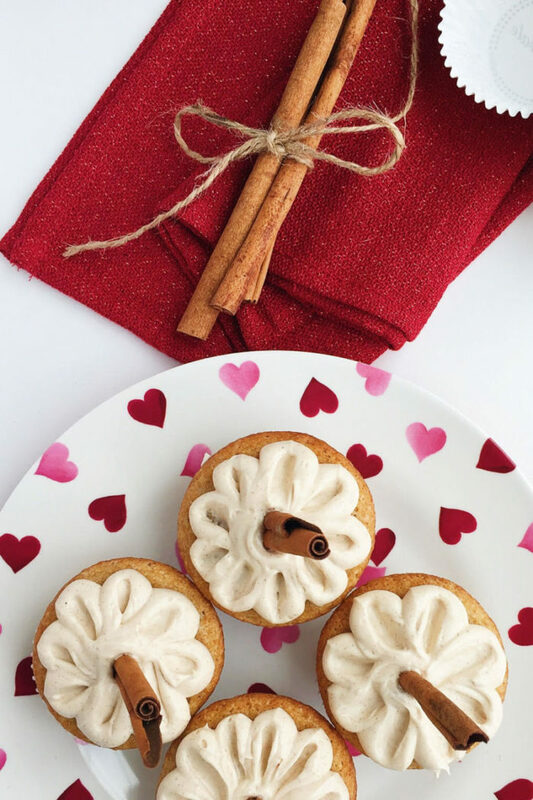 Beautiful eggnog cupcakes your have there. 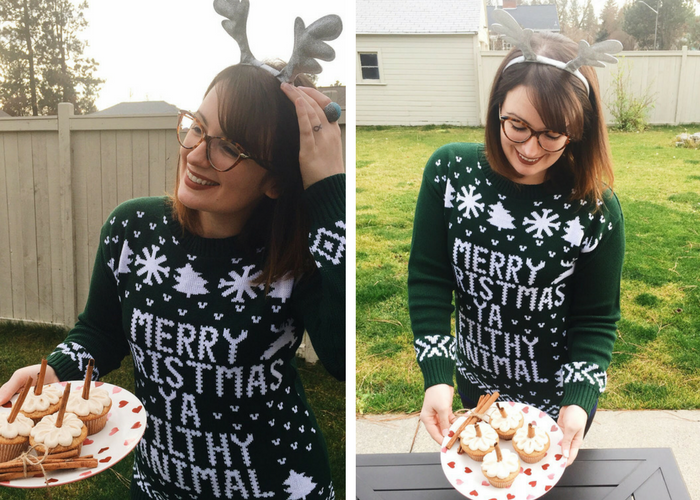 This recipe yells Christmas all over the place. It really “represents”. BTW, where did you get the sweater? lol! Thank you very much! The sweater is from boohoo.com! I don’t like eggnog, but I know I’d love these cupcakes! I hope you do love them! I love eggnog. It just heralds Christmas! I LOVE the sound of it in these gorgeous spiked cupcakes. Well that would be one very fun treat to bring to the holiday parties! Yes!! This has Christmas written all over it!